This is a must-have tool if you regularly enjoy iTunes videos and music. With this software, you no longer have to worry about playing the media file in your other devices. Apple Users must be familiar with the iTunes app. It is one of the best places for us to listen to our favourite music, see movies, TV shows and much more. Announced in 2001, it has official app store support and is available on the Mac, MacBook, iPhones, iPads. All the content available on iTunes has copyright issued to it. On the biggest drawbacks of iTunes digital media contents is that they have collaborated with iTunes FairPlay DRM protection which makes it hard for the legal users to fully and freely enjoy the videos. Over these past years, there has been a lot of debate over the digital rights management of the iTunes. However, DRM brings much inconvenience to users who have legally purchased the content and want to enjoy it on multiple devices. Apple finally took note of the complaints and to improve the user experience, it finally gave up the DRM protection in 2009. But they refused to remove the DRM protection act for the iTunes TV shows, movies and certain other apps. So in time, users began searching for an application which can be used for breaking DRM from the iTunes. 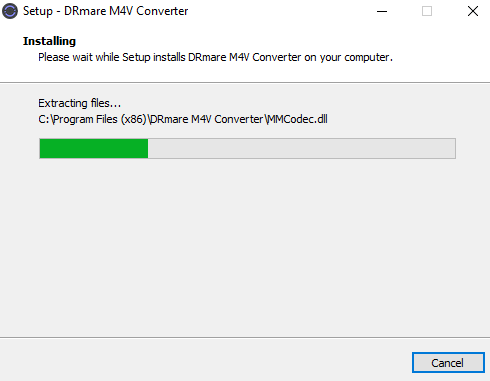 Meet the DRmare M4V Converter for Windows from software provider DRmare. In this article, we will be explaining and give an honest review of the DRM M4V Converter Software for Windows along with a step by step guide on how to use it. So let’s have a look what the DRmare M4V Converter packs for us. Before going further into the article, we feel you should know something about DRM. DRM stands for Digital Right Management is a set of access control codes that does the work of restricting users from accessing proprietary hardware and copyrighted content. DRM basically allows the developers or publishers of the content to add their own policies regarding the access of the content. They get the control of adding restrictions to who can copy and view their content. However, the point of discussion is breaking or removing the DRM protection. When you access an instant music/video, you receive only limited rights regarding the file, which constitutes only a few of the entire bundle of rights that compromise full ownership. You can view it but can’t copy and distribute. Plainly, removing DRM for personal use is okay while doing it for commercial intention is illegal. DRmare M4V Converter is listed among the best software for permanent converting and removing DRM. After removing FairPlay DRM from M4V it allows to convert and output to DRM-free MP4. The software boasts 100% preservation of the original quality, all audio tracks (5.1 Dolby), and subtitles to playback on all popular media devices. There should be no problem of support as supports multiple input formats like MOV, MPE, AVI, 3GP, WebM and more. You will find a lot of DRM removal tools in the market including some free ones. 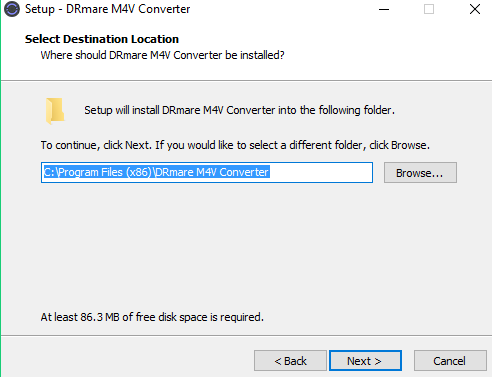 But DRmare M4V converter comes with a set of features that sets it one class above the rest of the available DRM removable tools. The key feature of the DRmare M4V converter is to remove any DRM protection from any media that you have purchased from the iTunes store. You can even remove DRM protection from the rented media on your iTunes as well. Furthermore, the software allows you to convert non-DRM and DRM videos and audios to different formats like MP3, MP4, AAC and more. This is a perfect tool if you are tired of playing iTunes movie files on 5 devices through iTunes and want to remove the DRM protection from the videos in a legal way once for all. Another key feature is that DRmare M4V Converter high-performance algorithms allow you 30 times faster speed when converting or removing DRM. 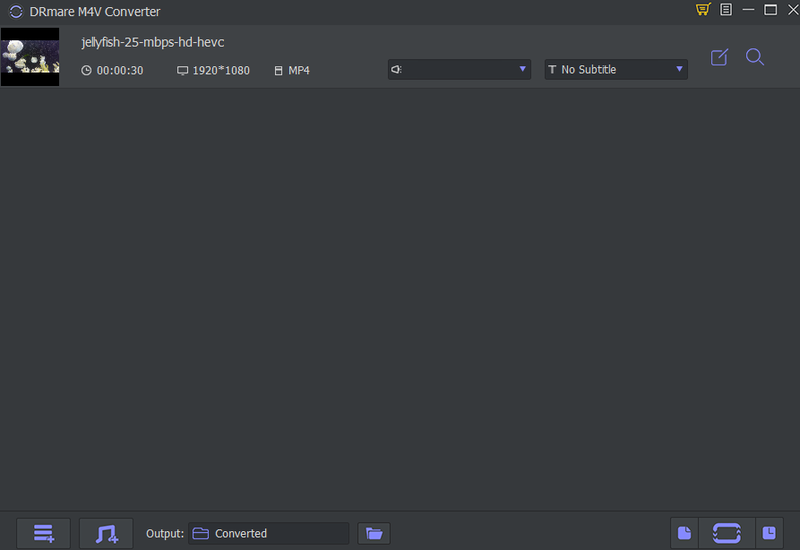 The quality of the media file doesn’t get affected by the superior speed rate. Since the original quality of the media file is retained, it will keep any AC3 5.1 Audio or Closed Captions or subtitles or any other feature. That being said the Mac version of the software supports a number of formats compared to the windows one. Windows version supports only M4V and MP4 output, while the Mac version supports a number of formats including HD MP4, MOV, AVI, TRP, TS, MPG, MKV and MP3. A bigger collection of formats means it will be supported on many devices. The other features of both the versions are same. The UI is pretty simple and user-friendly and easy to get around. The software’s primary screen is divided into three different parts. 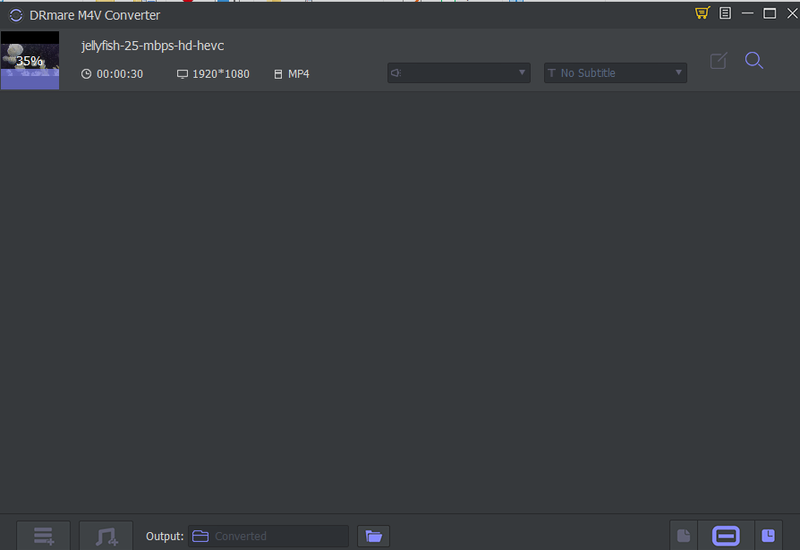 The first part contains the top menu, the bottom part is the menu while the middle part is meant for working. The software boasts support for Apple devices including iPhone and iPad, Android devices, Game consoles like Xbox 360 and Playstation and Web Video like YouTube and Facebook. 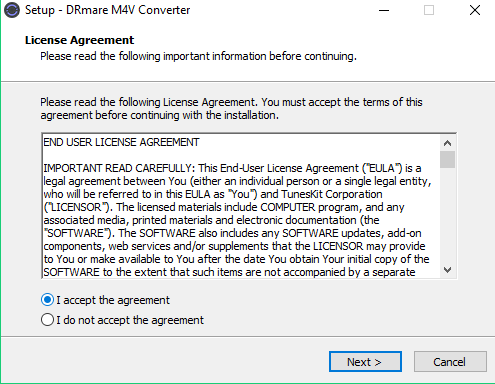 To use the software you have to purchase a license, but DRmare lets you download a free trial so that you can have a glimpse of the features before buying. A free trial will allow you to convert a maximum of three minutes of each file while buying a license will give lifetime free support and updates. There is a single user license for a single computer while the family pack license allows you to install the software in 2-5 PCs. You can download the free trial from the green download button. You can also directly buy and get your license from the Buy now option. After downloading, open the file and select the required license agreement. Select the location where you want to install. Select the options as per your requirement. Click Install and the software will start installing in your Windows running computer. 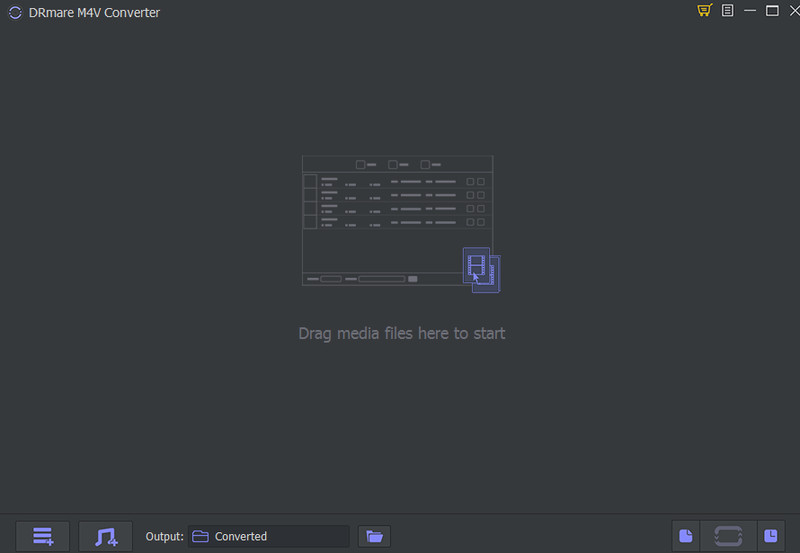 Click finish to launch DRmare M4V Converter. 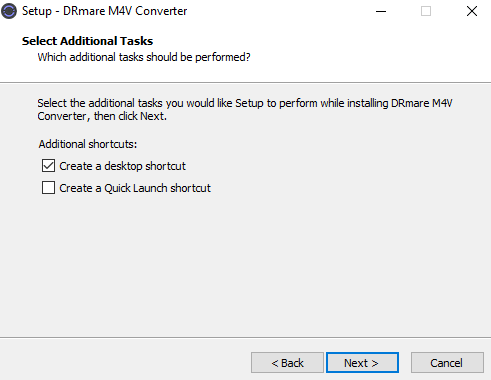 Launch DRmare M4V Converter for Windows. In the opening screen, you will see a drag and drop option. Drag and drop down the DRM M4A file you want to convert to M4A. 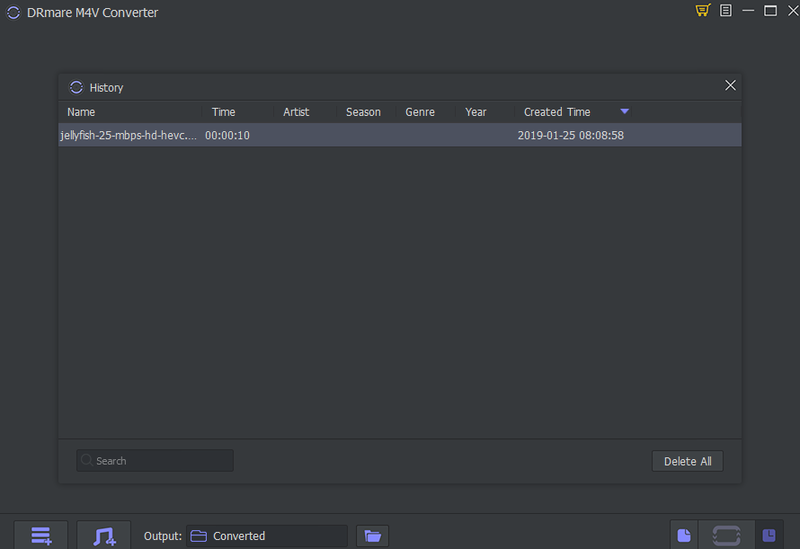 You can also select your file through the Add Files button below after which you will see you file listed on the top. 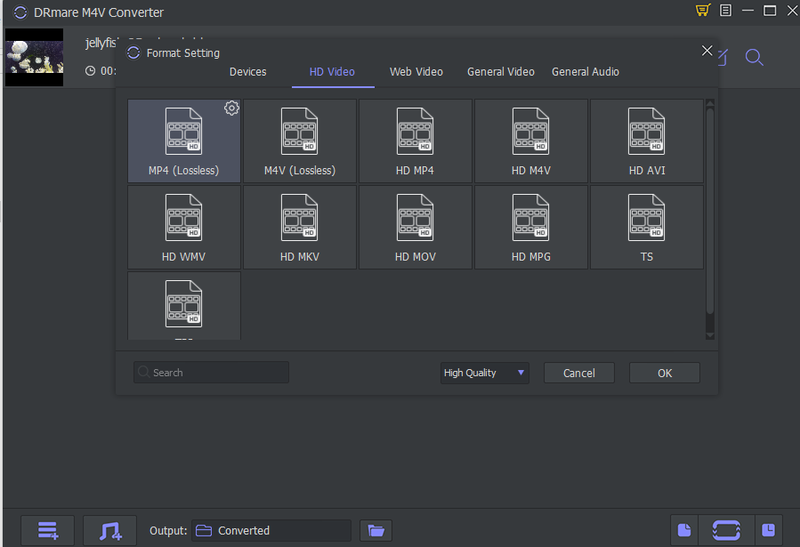 You can see the options to adjust the settings of the output videos including the output format, folder as well the audio tracks and subtitles. Click on the Convert button on the below right corner. You will see the progress through a blue progress bar on the thumbnail of your video. After finishing you will see the number of converted videos on the Converted button. Click on the required video to play it. Thus you have successfully converted you DRM M4V file to MPV and removed the DRM protection. DRmare M4V converter is the perfect solution to remove the DRM restriction from your iTunes collection. This is a must-have tool if you regularly enjoy iTunes videos and music. With this software, you no longer have to worry about playing the media file in your other devices. The software is fast compared to other DRM converters and also retain 100% quality with all audio tracks, subtitles, and AC3 Dolby 5.1 Surround Sound. This easy-to-use yet powerful video converter does your work by doing just a few clicks. Give it a try and you will not be disappointed. Previous articleGocomma USB 3.0 to SATA/IDE Hard Disk Adapter Review: Why You Should Buy One?